Decorative Concrete - AMO Outdoor Services, Inc. Decorative Concrete - AMO Outdoor Services, Inc.
AMO specializes in decorative concrete retaining solutions. With an endless selection of retaining wall blocks available in todays market, we have the experience to help choose and install the correct product in your landscape. Whether it is erosion concerns, landscape and garden walls, or structural retaining walls we have the expertise you’ve been looking for. 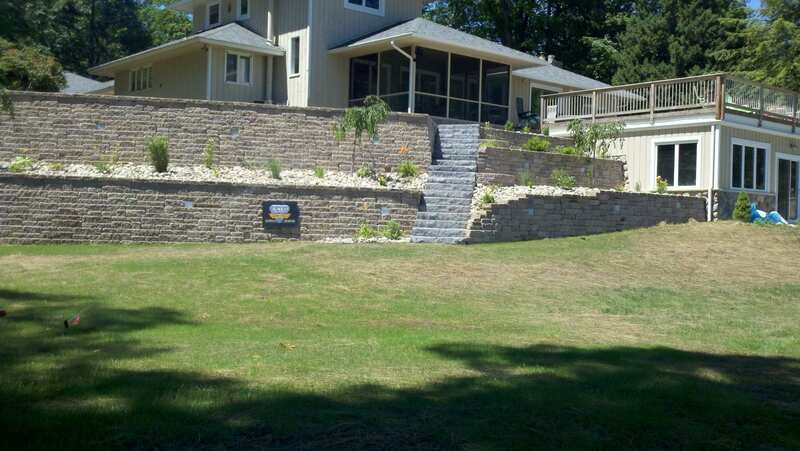 Products range from split faced concrete, to natural appearing stone, stacked river flats and are available in almost any color and size to fit any application and landscape theme. Many products are even produced locally in Northern Michigan.